Of all the wonderful places in modern-day Myanmar, it is perhaps Mandalay whose name best evokes the Burma of romantic imagination. The country’s last royal capital and a former lynchpin of the British colonial regime, it is now Burma’s second-largest city and main commercial centre of Upper Myanmar. 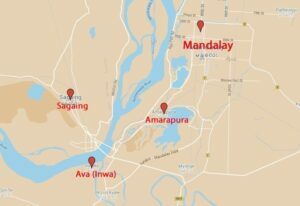 What most people don’t know about Mandalay is that it is not the only former capital in this small section of Burma – nor is it the oldest, nor the longest-serving. 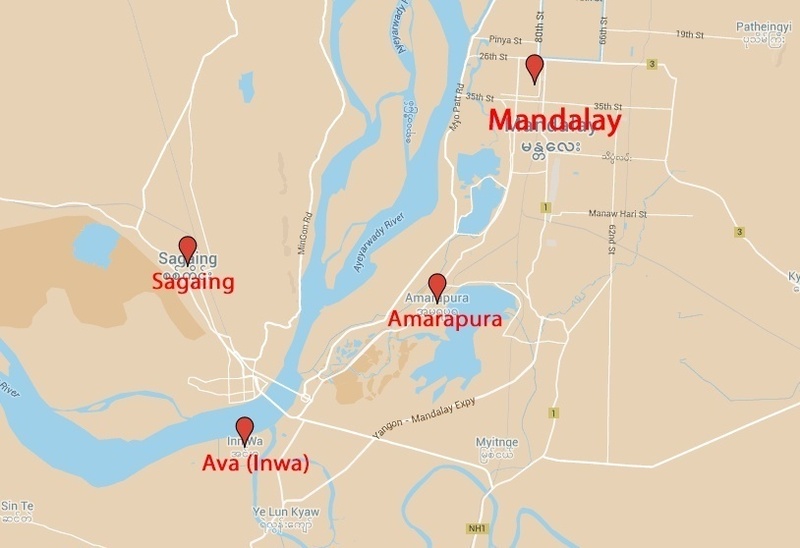 Absorbed into the suburbs and hanging off the edges of this famous city are no less than three ancient royal seats: Sagaing, Ava, and Amarapura, which ruled Burma for a combined total of nearly 500 years to Mandalay’s 26. 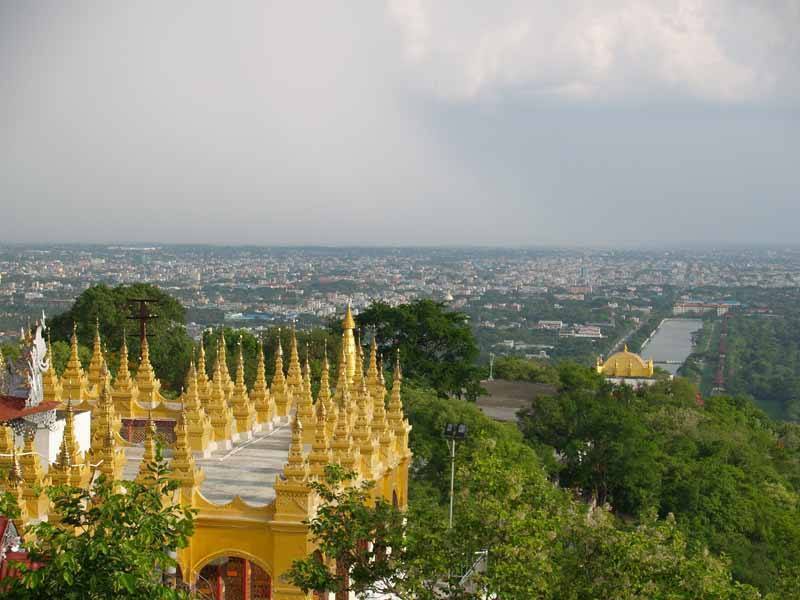 The oldest of the four ancient capitals, Sagaing existed long before Burma did – serving as capital of the Sagaing Kingdom from 1315 until 1364. One of the many small and unstable kingdoms that emerged after the golden age of the Pagan Empire, the Sagaing Kingdom was led by Shan kings, and spent most of its fifty-year existence defending itself against raids from other Shan polities in the north. The kingdom collapsed in 1364 after Sagaing was sacked one final time, and the city spent the next three centuries as a mere royal fief before serving another stint as capital, this time under the Konbaung Dynasty. Sagaing’s second ascendancy lasted only five years, from 1760 until 1765, before the capital was moved and the city lapsed into relative obscurity. Today, Sagaing is home to around 70,000 people – around 3,000 of whom are monks. 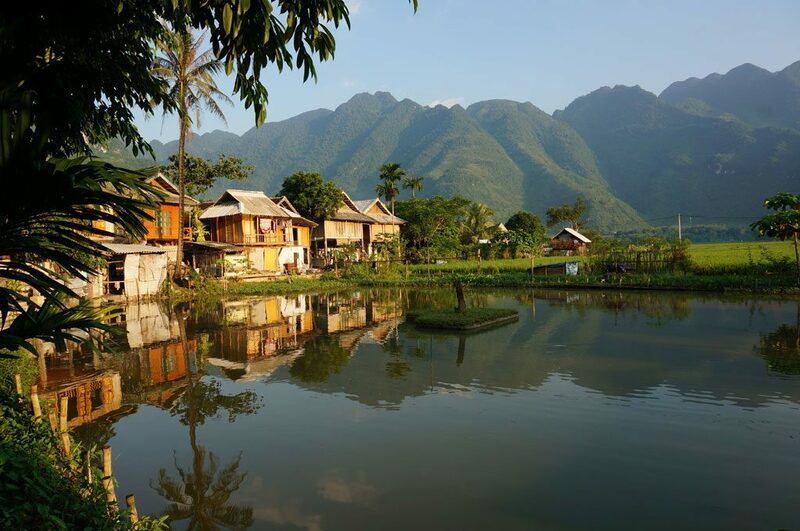 This is the religious heart of Burma, and it is well-known for its beautiful landscape dotted with over 600 whitewashed pagodas and monasteries. 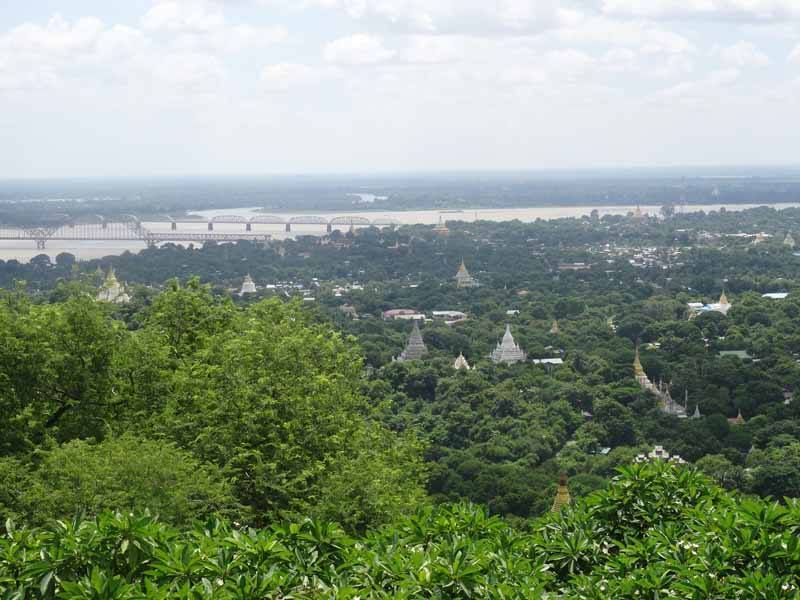 We recommend wandering along the paths and stairways to the top of Sagaing Hill, from where you can admire views of the area’s temples, the Irrawaddy River, and the Old Ava Bridge – built by the British in 1934. Sagaing’s pagodas are more impressive taken as a whole than individually, but all the same we suggest you take some time to visit some of the area’s more interesting temples. 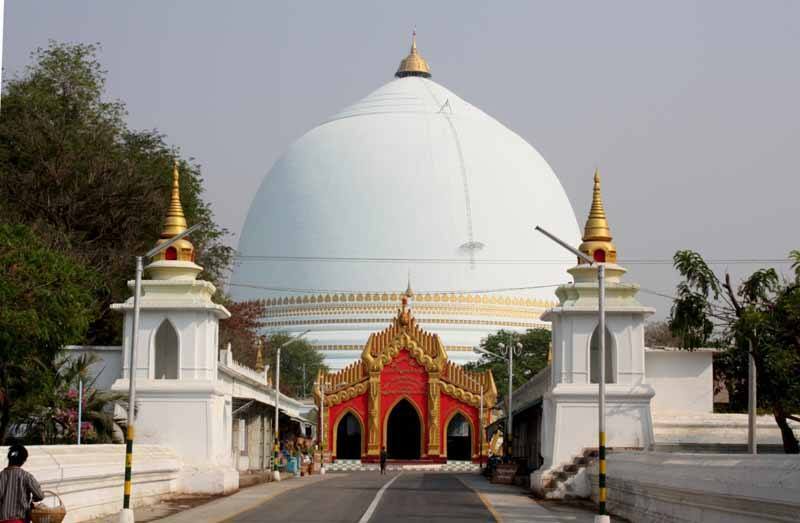 Soon U Pon Nya Shin Paya, which is said to have been built overnight by a superhuman monk, is one of the most important – while Kaunghmudaw Pagoda to the northwest of the region definitely has the most interesting origin story! It’s said that when the temple was built in 1636, the king modelled the stupa on his queen’s breast (you can see why!). Ava, also commonly referred to as Inwa, has played a hugely significant role in Burmese history, having served as a Burmese royal capital on five different occasions – that’s nearly 360 years in total. The city first served as capital of the Ava Kingdom from 1365 until 1555 during the Ava Kingdom, and would become capital at various other points during the Toungoo and Konbaung periods (from the 16th until the 19th century). The city of Ava was finally destroyed by a series of earthquakes in 1839, which devastated it sufficiently for the king to decide to start afresh in Amarapura. Though Ava would never return to its former greatness, a few surviving monuments make the trip well worthwhile. There are now few remnants left from Ava’s golden age, and it’s hard to believe from the tiny villages and rural scenery that this was once a royal capital. 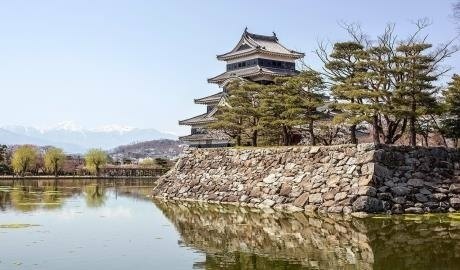 Ava’s Royal Palace was mainly destroyed by the earthquakes that wrecked the city, and only a 27-metre (89 foot) watchtower remains. Perhaps the most impressive of Ava’s surviving monuments, however, is the Bagaya Monastery, built in 1834, which continues to serve as a school for novice monks to this day. An ornately carved, teakwood building located amid beautiful paddy fields and palm trees, this monastery has a real atmosphere of age and history about it. Besides Bagaya, the unusual brick-built Maha Aungmye Bonzan Monastery and the ruins of the Yadana Hsimi Pagodas also make interesting stop-off points. 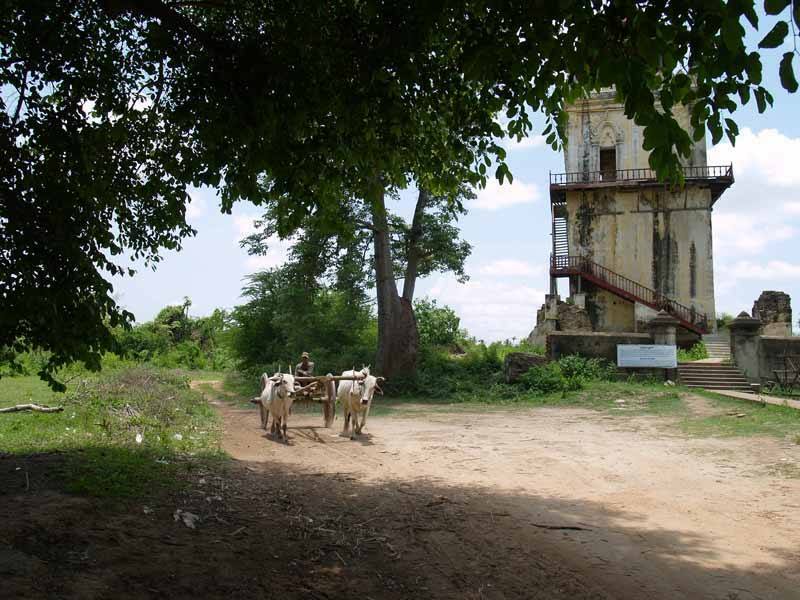 We recommend taking a horse and cart or renting a bicycle to explore the area. Amarapura became the capital of Burma twice in its history – both times during the Konbaung Period, and both times preceded as capital by neighbouring Ava. The city was founded in 1783 by King Bodawpaya, served as capital for 38 years, ceded its title to Ava for 20 years, then became capital again in 1842. So it remained until King Mindon decided to construct a new capital at Mandalay in 1859. Today, Amarapura is known for its silk industry, so we suggest taking the time to visit a silk weaving workshop to watch the craftsmen at work. From here, we recommend paying a visit to the Mahagandayon Monastery, one of Burma’s largest teaching monasteries – then heading to Amarapura’s most photogenic attraction: U Bein Bridge. Built in 1850 and spanning 1.2 kilometres (0.75 miles) across the Taungthaman Lake, it is thought to be both the oldest and longest teakwood bridge in the world, and is particularly attractive in the soft light of the early morning. We can arrange guided tours that encompass all three of these ancient capitals in one day, and several of our ready-made Burma itineraries include this as an experience. Alternatively, if none of these quite fits the bill, we can tailor a trip exactly to suit your specifications – so don’t hesitate to get in touch!